The holiday season is not over! You can rejoice at starting to plan your next adventure, dreaming about soaking up the sun and discovering instagram-worthy holiday spots. New cruises and exciting destinations are in the making for Cruise Holidays 2019. You can book them now, there are lots of offers available. All the information is at your fingertips so make sure to keep tabs on the latest news on Cruise Holidays in 2019. Browse through the latest Cruise Holiday deals below and read on to find out about the new ships that will steal the spotlight and major announcements in 2019. Say hello to the biggest cruise ship in the world. It will debut its career in April 2018 and will sail as part of the Royal Caribbean’s fleet. Symphony will be sailing to all of the breathtaking destinations in the Mediterranean, from Barcelona in Spain, Provence in France to Florence, Naples and Rome in Italy. She will also embark on a Caribbean adventure in early November with a starting point in Miami, Florida. We can have a sneak peek at its amazing best features. With 2,775 total staterooms, 2,175 crew members, tree-lined Central Park, the 10-story slide and a second pool, you are sure to be entertained! There is something for everyone and if you’re travelling with little ones, Symphony will have a Splashaway Bay waterpark specifically designed for kids. Celebrity Cruises will introduce Celebrity Edge in the autumn of 2018, a remarkable new ship that epitomises modern luxury travel. Celebrity Edge will cruise Eastern and Western Caribbean, departing from Fort Lauderdale in Florida. If you are looking for relaxed holidays under the sun, Celebrity Edge have you covered, with real grass covered Lawn Deck, the AquaSpa café and The Sky Observation Lounge. You can also try your luck at the Fortune’s Casino or check out the latest Mac products at duty-free rates in The Celebrity iLounge. If you want to enjoy the smart key-less entry to your stateroom, order drinks through Virtual Concierge app or admire the most stunning views from the majestic Magic Carpet (a glass floating platform that can soar over the open ocean, 13 floors above sea level), Celebrity Edge is your dream come true! Norwegian Cruise Lines are launching Norwegian Bliss that will cruise Alaska and The Caribbean in the Summer of 2018. If you’ve always been tempted to explore the Alaska’s shores or the paradisal Caribbean, this new edition to Norwegian Cruise Lines will be your ticket! A myriad of on-board attractions will range from go-kart racetrack to a laser tag court and two water slides. Norwegian Bliss will boast the 20,000-square-foot Observation Lounge that will show breathtaking views of Alaska and the Caribbean and solo travelers will be able to enjoy a new cabin with virtual ocean views. MSC Seaview will be one of the next generation ‘’smart ships’’ and will start its first voyage in June 2018. The partnership with Samsung will result in an array of smart and latest tech solutions in display, mobile and virtual reality. The NFC technology will be used for geo-locating your kids, payments or accessing your stateroom as well as iBeacon technology will keep you in the loop about interesting offers that are precisely tailored to your needs. MSC Seaview will set off from Genoa, Marseille and Barcelona and will be visiting Naples, Messina in Sicily as well as Malta. You will be in awe of all of the attractions and amenities on offer, ranging from outdoor spa and fitness, interactive Slideboarding tube, AquaSpray park for kids to 20 bars and 9 restaurants serving scrumptious food from around the world. You can start booking your cruise holidays on this amazing new addition to the MSC fleet today! Where You Want To Cruise In 2019 ? Can’t wait to book your Summer Cruise Holidays for 2019? Browse through all of the main destinations and ports to see where the main cruise ships will be sailing to, and plan your perfect next escape. 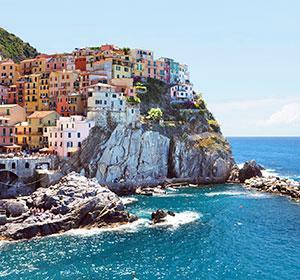 MSC Cruises will take you on the voyages in Northern Europe and the Mediterranean. No matter if you are a regular cruiser or a first timer, you will find the trip that tickles your fancy. Visit the dynamic cities or peaceful islands and explore the awe-inspiring scenery! MSC Magnifica will take you from Southampton to Europe’s Atlantic shores, sailing through Galicia in Spain, touching Porto in Lisbon and Bordeaux in France. Going north, MSC Magnifica will take you to explore Northern France and will send a thrill of excitement down your spine when approaching Norwegian Fjords. MSC Meraviglia will take you on the brand new itinerary to the Baltic gems like Oslo, Stockholm, Tallinn, St. Petersburg and Helsinki. You can also venture into one of the northernmost inhabited islands in the Arctic Circle, Spitsbergen, starting off from Hamburg and passing through Ireland, Iceland and North Cape on the way. You can hop on the 7-night cruise to the Fjords on board the MSC Preziosa setting off from Kiel or Copenhagen or MSC Orchestra starting off from Warnemuende or Copenhagen. MSC Seaview will let you dive into the Western Mediterranean, setting off from Genoa and stopping at Naples, Messina, Valletta, Barcelona and Marseille whereas MSC Fantasia will lead you on a brand new excursion through Cannes, Palma de Mallorca, Barcelona, Ajaccio, Civitavecchia (Rome) and La Spezia. If you are on the lookout for cruises to the Greek islands as well as staggeringly beautiful Montenegro, Albania and Croatia, MSC Musica, Poesia and Sinfonia will be your captains. Cunard Cruises offer amazingly good deals on cruises to Greece and Gibraltar in May 2018 on board Queen Elizabeth. This flagship offers comfort, luxury as well as sophisticated and elegant interiors. Queen Elizabeth will take you to the far side of the Mediterranean from Southampton. Be prepared to be taken aback with beautiful views of Mallorca, Athens and Turkey's shores as well as Santorini, Olympia, Sardinia and Gibraltar on the way back. You can also embark on a relaxing cruise to Spain and France in April 2018 on board Queen Victoria. The 7 night cruise will start off from Southampton and will let you discover France and Spain at a slow pace. Stopping at la Rochelle, Gijon and ending up at Bilbao. Taking advantage of numerous bars and restaurants on board Queen Victoria will let you soak up the sublime and relaxing atmosphere of the cruise! Royal Caribbean Cruises have an extensive offer of Cruise Holidays in 2019 that are catered to different tastes and budgets. You are bound to find a voyage that suits your needs. 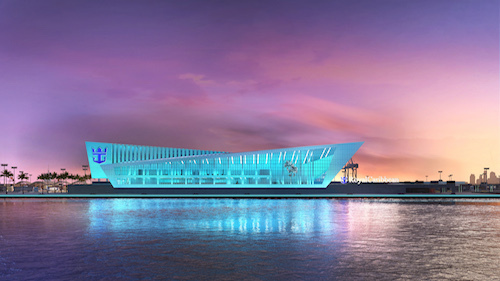 In addition, Royal Caribbean Cruises will delight everyone with their grand opening of a new terminal at PortMiami, labelled the ‘’Crown of Miami’’. Start your trip on the largest cruise ship in the world, Symphony of the Seas, that will take you on the scenic route to the Mediterranean, stopping in Spain, France and Italy. Empress of the Seas will let you explore exhilarating Havana in Cuba departing from Miami and Tampa in Florida. Setting off from New Orleans, the Vision of the Seas will show you the best spots in the Caribbean, passing by Nassau, Bahamas, Cozumel, Mexico, and Roatan, Honduras. You can travel on board of Vision that will depart from Galveston, Texas to enjoy the Caribbean cruises at the beginning and end of 2018. If you wish to explore Asian Pacific, Quantum of the Seas and Ovation of the Seas will set off from Shanghai and Tianjin in China, travelling to Tokyo and Nagasaki in Japan. Departing from Singapore, Hong Kong and Shenzhen, Voyager of the Seas will take you on an unforgettable journey throughout the Asian’s main, bustling must-sees, like Thailand, Malaysia and Vietnam. In 2018 Mariner of the Seas will travel to Miami from Singapore, passing Dubai and Barcelona on the way.